Brisbane band Stateside are one of our favourite new up and coming bands. 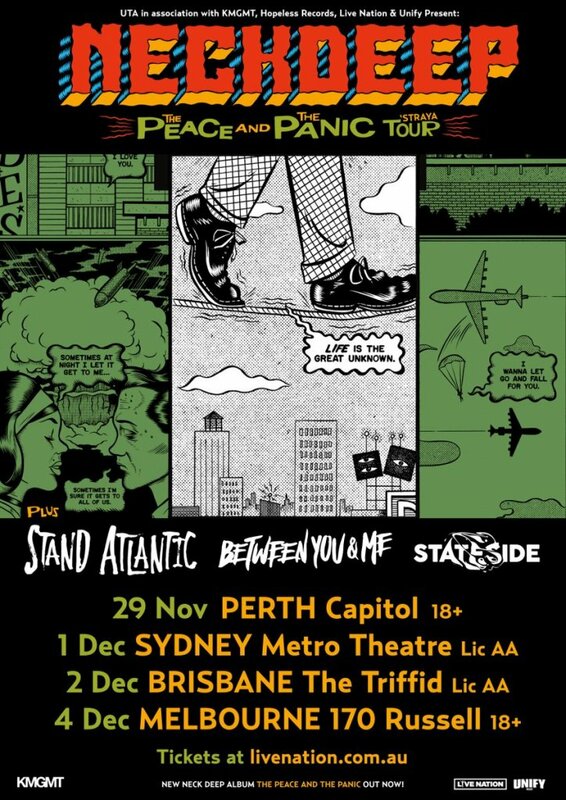 The band will be ending 2018 by supporting Neck Deep around Australia and will also be playing the Good Things festival in Brisbane. We were lucky enough to have a chat with the bands super talented vocalist Erin Reus to learn more about the band and find out what they have planned for the future. Firstly can you tell us about how the band Stateside first got together? We started in 2014 near the end of high school! We always talked about wanting to be ~rockstars~ and eventually just said SCREW THIS let’s go, and now here we are! Huge congrats on Naïve it’s awesome, looking back you must be proud of how it turned out? The Naïve era was great. 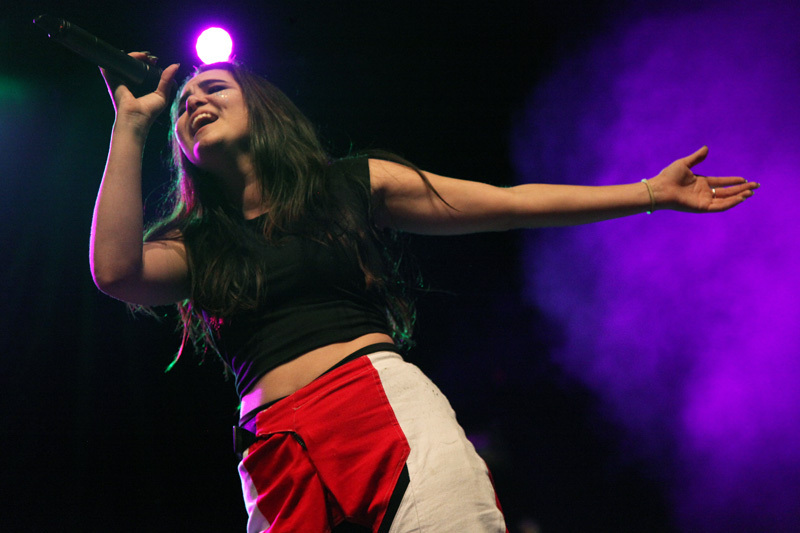 We got to pour our hearts out into those songs and perform them all around the country. Not only that but we learned a lot along the way. One of our favourite’s is the song “Neon”. How did that song come about? Neon is a song for anyone in a relationship who feels locked down/wanting to get out yet deep in love. There was a lot of heart break amongst writing this song but a lot of growth! No chains, no hooks, no need to try and fix me. What was the experience like filming the video for “The Way We Were”? TWWW was filmed in the middle of winter in a whole lot of water! We built the whole set ourselves so seeing how cool the end product turned out was really rewarding. We were lucky enough to catch you earlier in the year supporting Simple Plan. How was that tour for you? It must of been surreal to sing “Jet Lag” with Pierre? Touring with Simple Plan was so much fun! They’re some of the most down to the earth dudes we’ve ever met and it was such a pleasure to share the stage with them! It’s not long until you hit the road touring with Neck Deep, Stand Atlantic, Between You & Me. You must be pretty excited? We’ve been waiting a while for this one to come around and we are super stoked to finally be hitting the road with these guys! Also TOO KEEN to hit Perth for the first time. This is gonna be huge! Recently Stateside were added to Good Things festival. That has to be a pretty amazing way to cap off you’re year? Couldn’t think of a better way to end the year than to join one of the hottest festivals to hit Brisbane. We love so many bands on the line up and it is a real blessing to have our name up there with theirs! Are there any bands you are looking forward to watching at Good Things festival? In all honesty we’re literally frothing every band on that lineup! 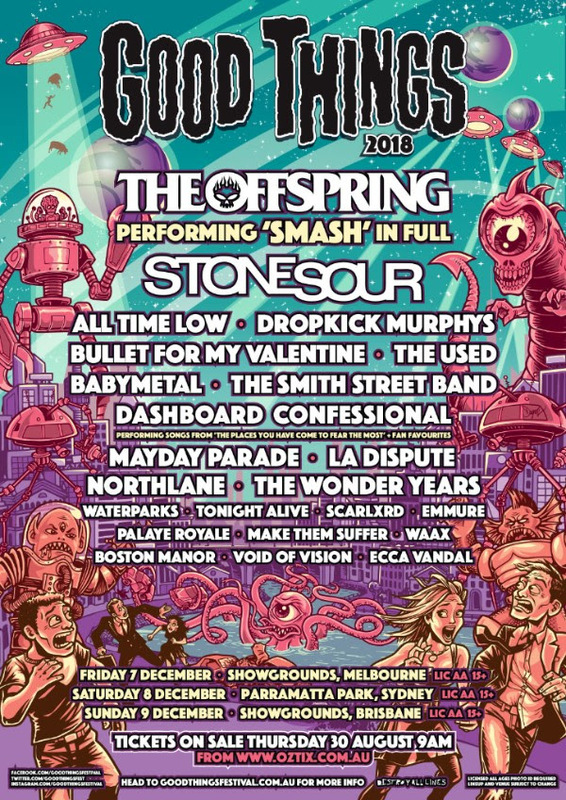 But amongst us names that keep coming up are All Time Low, The Offspring, Smith Street Band & Northlane! Lastly can you give us some insight into what Stateside has planned for 2019? We’ve just finished up in the studio and we have some sneaky cool stuff up our sleeves. We really feel like this new music shapes us up as a band & can’t wait for everyone to hear it!